From President Joan Evelyn Duvall- Flynn Ed. D.
The NAACP Pennsylvania State Conference is deeply saddened and grievously incensed by the incidents in Charlotte, Virginia this weekend. The egregious, violent and intentional taking of the life of Heather Heyer by a white supremacist, and the loss of two police lives related to this event, are signals that the domestic tranquility of this country is extremely fragile and that its citizens are sitting on a powder cage. Our federal government is in a shambles. Where leadership has been put in place, the aim is to deconstruct the social safety nets and social justice programs that have been created to promote the general welfare of Americans. Currently under active and overt attack by members of the Executive Branch are the right to vote, the right to equal protection under the law, and the right to a free and appropriate public education. Pennsylvania itself is on fragile and unsteady ground. There has been an increase in open Klan activity across the state. Since November of 2016, there has been a rise in the number of reported acts of overt racism in schools. Minority students are being taunted and threatened by classmates who have been taught racial hatred and feel free to demonstrate the cruelty associated with these feelings and beliefs. Children of color have even been brutally physically assaulted by school employees. While our legislators refuse to equitably fund education for Pennsylvania’s most marginalized children, some have proposed that staff should carry concealed, loaded weapons in the schools where hundreds of children attend. 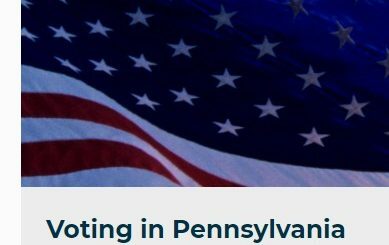 At this time of national shame and grief, with an open resurgence of bigotry and racism, when white supremacists and nationalists have escalated their hatred of “others” to the level of committing open domestic terrorism; NAACP PA calls on Pennsylvania law makers to correct the course being set here in this state. We call on Pennsylvania law makers to exert moral leadership and to govern the commonwealth judiciously. Protect the people of Pennsylvania from a replication of the tragedy of Charlottesville. Step back from what appears to be a racist agenda of voter suppression, mass incarceration, school re-segregation, and the deconstruction of civil rights protections for Pennsylvania’s most vulnerable citizens. Return to Harrisburg and fund the state budget. Lead the citizens of our state in an effort to prevent an impending catastrophe that is clearly brewing in Pennsylvania. Dr. Joan Evelyn Duvall Flynn is state president for NAACP PA. She resides in Glen Mills, PA. The NAACP’s principal objective is to ensure the political, educational, social and economic equality of minority group citizens of the United States and to eliminate race prejudice. The NAACP seeks to remove all barriers of racial discrimination through the democratic processes.